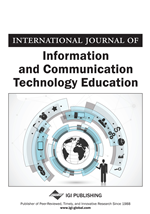 The aim of this article is a technological revitalization of software engineering education from human and social perspectives. It adopts a systematic approach towards integrating the Social Web environment (including technologies and applications based on those technologies) in software engineering education, both inside and outside the classroom. To that regard, a feasibility-sensitive methodology for incorporating the Social Web environment in software engineering education that supports a heterogeneous combination of objectivism and constructivism is proposed and explored. The potential prospects of such integration and related concerns are illustrated by practical examples.